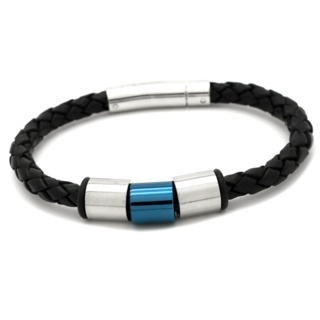 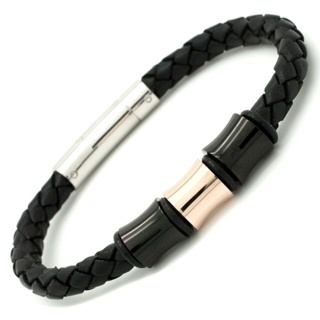 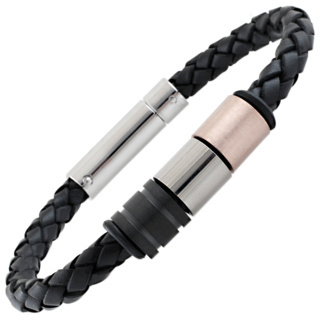 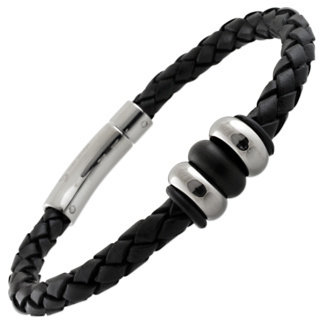 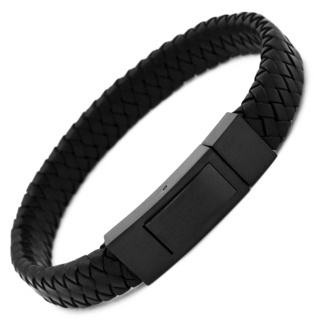 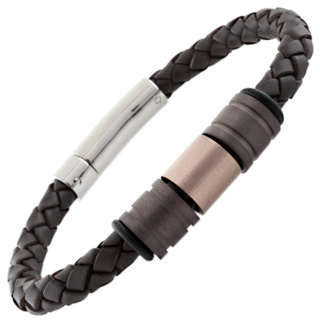 Two cool black titanium beads with a satin finished bead perfectly situated on a black woven leather bracelet. 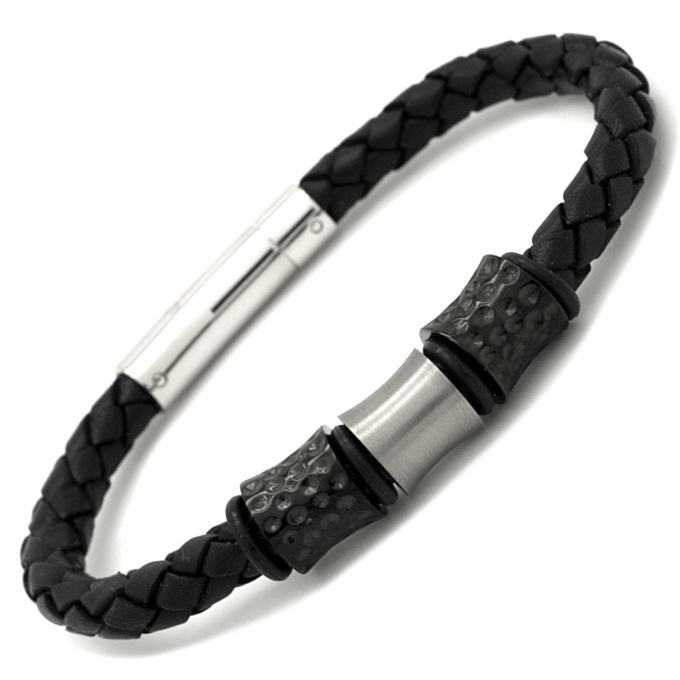 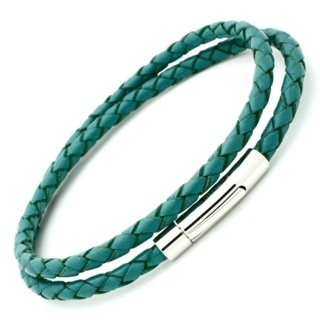 Perfect for everyday wear and any occasion. 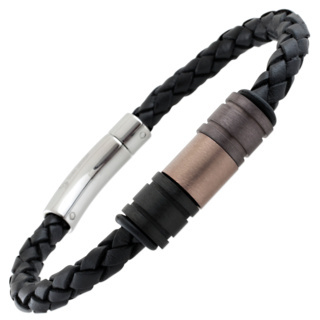 Width of leather 6mm, on your chosen length.